The advantages of installing a bidet range from improved hygiene to less reliance on toilet paper and water consumption. Many Americans, however, are not familiar with the bidet - the faithful companion to the toilet in countries across Europe and Asia - or comfortable using it. If you’d like to install a bidet in your Roswell or Buford home but space is tight, here’s what you need to know before calling in the professionals. Simply put, a bidet is a small bowl-type toilet that emits a stream of water slightly upwards. The stream is designed to spray the area of the body directly above it. Most bidets let you control the temperature and force of the water. If your bathroom’s space can’t accommodate a separate bidet, don’t worry. There are several options out there for homeowners who want the optimal hygiene that bidets deliver without the need for a separate device. Hybrid toilets. Hybrid toilets combine the basic functions of a toilet and the comfort of a bidet. For this option, you’ll need to replace your existing toilet. It’s possible to get a hybrid model that offers remote-control functionality, dual-flush technology and an automatic dryer for use after washing with the bidet. A hybrid model option offers all the luxury of a bidet in a two-in-one system that doesn’t take up extra space. Specialized seats. Use your existing toilet and retrofit it with a special seat that functions as a bidet. Choose among basic seats that spray water and high-end models that include a heated seat and an air dryer. Budget models are available that save on energy use and don’t require electricity. Attachment bidets. Certain bidets install just underneath a regular toilet seat and require a cold/hot water connection. Operating it manually, the user can select a temperature and turn the spray on and off. Handheld models. Connect a handheld shower-type head that gives consumers the option to use a bidet when they need it. Leave the bidet attachment on the side of the tank when they don’t. As with other home plumbing systems, get professional help when it’s time to install the bidet. Because the system uses water, improper installation inevitably leads to leaks. What began as an attempt to save money through a DIY installation could turn into a situation where you end up paying for repairs. Some systems require dealing with complicated wiring and technology. 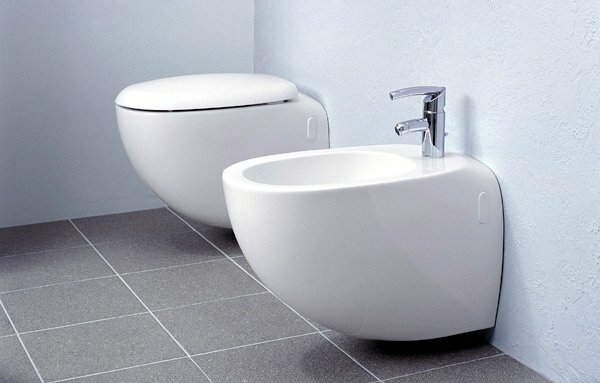 For the best results, work with a plumber who is experienced with choosing and installing bidets. If space in your bathroom is at a premium, there are still many ways you could install a bidet. For expert help retrofitting your bathroom, contact Casteel Heating, Cooling and Plumbing.